Body product CBD-loving enthusiasts rejoice – there is now a clean, laboratory-tested product to fulfill your needs. Enter, Sagely Naturals. From a safety perspective, Sagely stands out from the pack by offering up-to-date Certificates of Analysis that confirm their hemp oils are free from common contaminants like heavy metals, pesticides, and residual solvents. Finding non-toxic body care products can be a huge challenge in today’s world, much less one containing CBD. What Sagely has achieved with their contaminant-free product line is nothing short of remarkable. Sagely Naturals places their emphasis on topical body care products infused with CBD; they boast that everything they sell is free of parabens, synthetic fragrances, artificial dyes and colors, and sulfates. They have created a brand that embodies everything we hope all CBD companies will eventually achieve: approachable, accessible, and premium quality products for all. Sagely Naturals is an excellent option for those seeking CBD-enriched body care products of the highest quality, formulated by a PhD chemist with over 20 years experience. 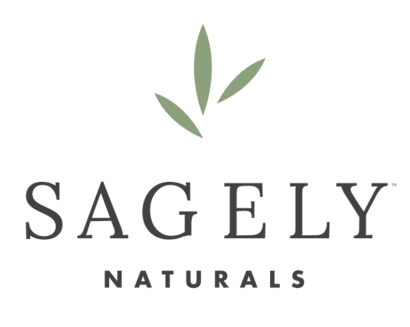 You can check out Sagely Naturals' products here.